This is Lauren Jennings, part owner of Jennings Apiaries! Aaron and I want to keep you updated on the latest with our business and ourselves. I will be writing a blog post once a month highlighting things I’m currently reading and interested in etc. Here we go! What I’m wearing: Blundstone boots baby! What I’m excited about: My Spring garden! Thanks for reading! 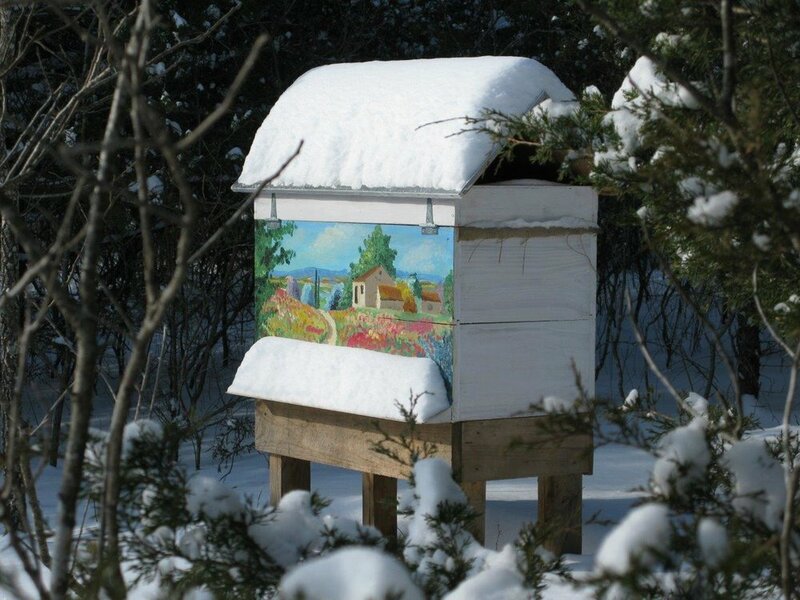 Stay tuned to see what Jennings Apiaries has in store for the new year! Hey everyone! We want to give you all a heads up about some upcoming changes and new material that we will be publishing. Since the beginning of Jennings Apiaries, we have been passionate about education and honey bees. We love what we do and want to share that with any and all that may be interested! Over the next few weeks we will be launching a YouTube channel, updating our podcast format and putting out more educational material through our social media on Facebook and Instagram. We hope that you will find this information interesting and sometimes entertaining. Stay tuned for these updates and let us know if there is something that you want to see or hear more about! New Promo Video for Naked Bee! We are so happy to have this video by Kate Tedeton. She did an amazing job. The ultimate tattoo care for before, during and after getting new ink. Completely natural and made with organic ingredients from Jennings Apiaries. I love top bar hives. They are simple, effective and efficient. 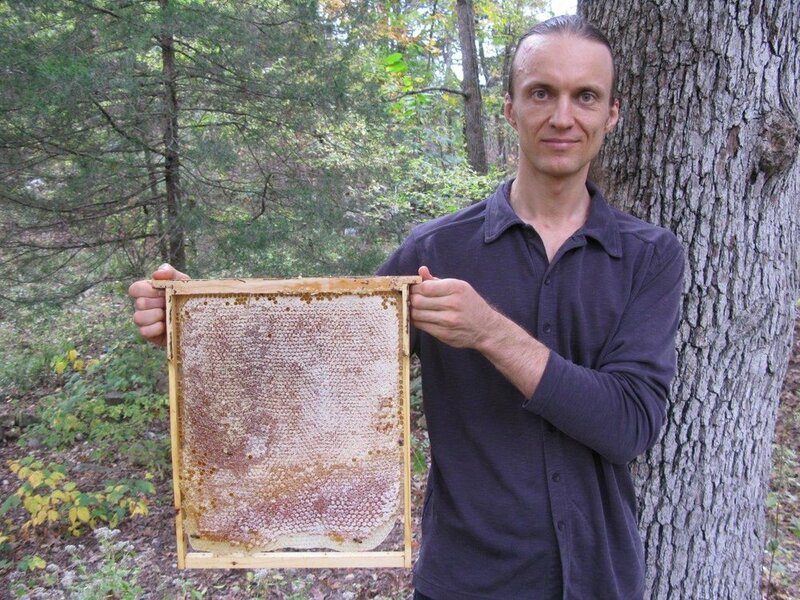 I have been using top bars in our beekeeping business for the past 4 seasons and spent the 2016 season converting my best stock into top bar hives exclusively. During the conversion process, I used top bar hive "supers" to get my bees in Langstroth boxes to build the combs I would need to expand my numbers. 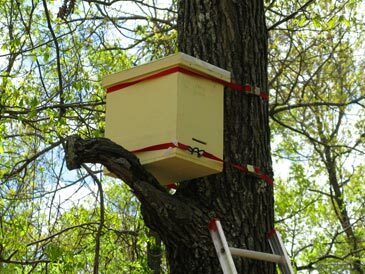 These short top bar hives have holes in the bottom to allow the bees to move up into the top bar box. I blocked the bottom entrance and forced the bees to go through the top bar entrances. Since bees abhor empty space, they quickly started drawing combs off of my bars and before I knew it I had 10 fully drawn combs to use. I would then move some of the drawn combs once they had brood in them to a bigger top bar hive. Where we are located, small hive beetles can really take over a growing colony. To combat this, I built these much shorter than what is typically recommended. I halved Les Crowder's length and went with a 22" length box. The bees were able to maintain this space very well and kept the beetles to a minimum even during the prime beetle time of July and August. I think that the 22" hive is still a bit too short for my "production" hives. This year I am building the full-size hives at 30". This gives them a volume that fits in with Tom Seeley's recent research covering the benefits of smaller hives for bee health. The standard length usually varies between 4'-5', but every time I've seen a top bar hive in that range locally, the hive beetles have decimated it. I still have a need for smaller mating nucs and hives to start splits in, so my other length has now been adjusted to 12". This creates a top bar nuc situation and my plan is to use them for housing my queens that I will raise and sell this year. This size allows for 8 top bars, which will be easy to move to new yards. With Spring quickly approaching, I am very excited about the upcoming season and what will happen. I will continually update this site and our YouTube channel with the progress. I learn new things every year and I know this year will provide more opportunities to grow as a beekeeper and learn about these fascinating insects. How To Liquefy Crystallized Honey Quick! We get asked about crystallized honey and what to do with it frequently, especially in the winter. We hope this video helps clear it up! Hey! I wanted to let anyone know that may be interested that we will be hosting beekeeping classes again this year! The focus will now be entirely on top bar beehives and the pros and cons of using them. Our entire operation has switched over to top bar and we are obviously big proponents of using horizontal hives in general. The class will cost $25 and will last at least 3 hours, usually closer to 4. Water and some type of sweet yummies will be provided. We will also record audio of the class and have that available for folks to download at a later time. Space will be limited to 12 people. The location is still being worked out but will be in the Ruston area. The proceeds will go towards the Louisiana Bee Sanctuary, our effort to raise awareness and educate people about honey bees and other pollinators. If you or someone you know is interested in keeping bees in a plain and simple way, please share this information with them! Thanks! Now available in Whole Foods Shreveport! Hey! We wanted to let everyone know that they can now find our honey, and soon our skin care, in Whole Foods Market in Shreveport. We are located on the "Local Items" end cap when you first walk in and on aisle 4. We are so excited about this opportunity to bring Shreveport the best ethically sourced, raw, unfiltered local honey available!